Modern design worldwide has been shaped by the demands of the German Bauhaus: functionality, clarity of form, rigor. Through the years, such strictures have led to a dehumanizing rigidity, pushed further by artists such as Donald Judd who placed form explicitly above everyday life. 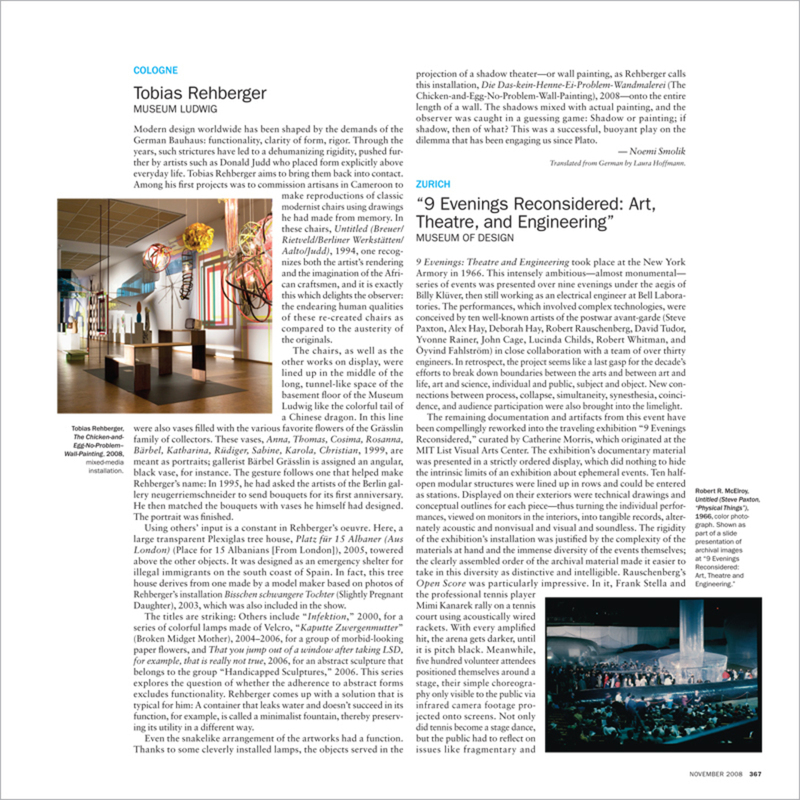 Tobias Rehberger aims to bring them back into contact. Among his first projects was to commission artisans in Cameroon to make reproductions of classic modernist chairs using drawings he had made from memory. In these chairs, Untitled (Breuer/Rietveld/Berliner Werkstätten/Aalto/Judd), 1994, one recognizes both the artist’s rendering and the imagination of the African craftsmen, and it is exactly this which delights the observer: the endearing human qualities of these re-created chairs as compared to the austerity of the originals. 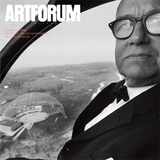 Order the PRINT EDITION of the November 2008 issue for $17 or the ONLINE EDITION for $5.99.